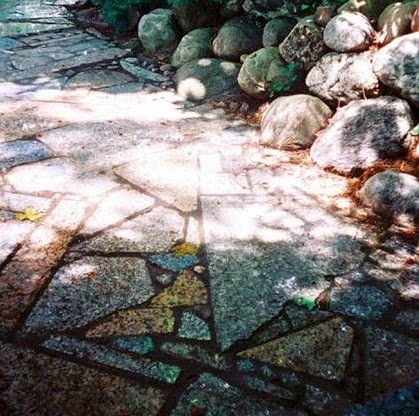 Brilliant sustainable landscaping idea by local company Moneca Kaiser Design Build. 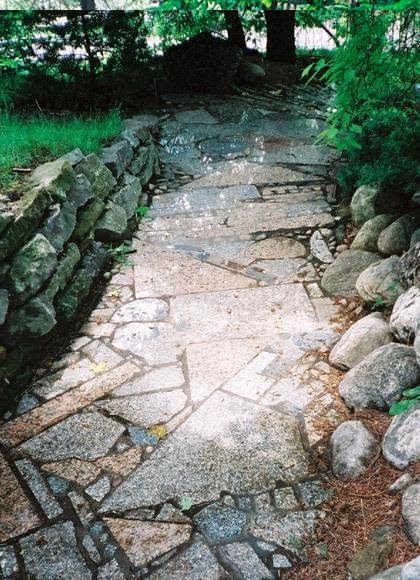 An outdoor mosaic pathway using off-cuts from a local granite company. Close-up below.